Noodles have been an all time favourite at my place. 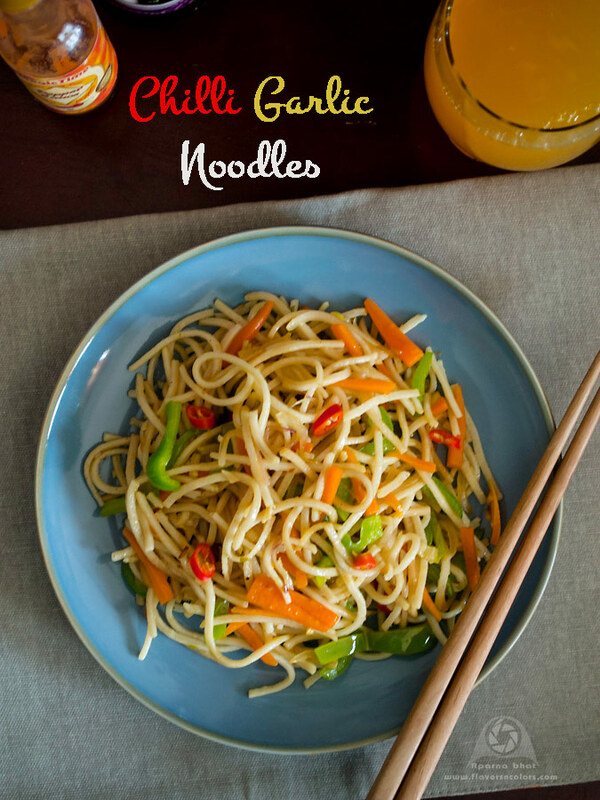 Below recipe is adapted from the recipe that came printed on back side of noodles packet. Boil noodles as per packet instructions. Drain, hold it under running cold water. Spread on a large plate to cool. Heat 3 tbsp olive oil in a wok/pan. Add finely chopped red chillies, reserving few slices for garnishing. Saute it for 30 seconds and then add chopped garlic, finely sliced onions. Stir fry for 2 mins. Add finely sliced carrots, capsicum and stir fry for next 2-3 mins tossing continuously. Add boiled noodles, soy sauce, red chilli sauce, salt to taste and mix thoroughly. Stir in the vinegar. Cook on high flame for another 2 mins until noodles are heated through. 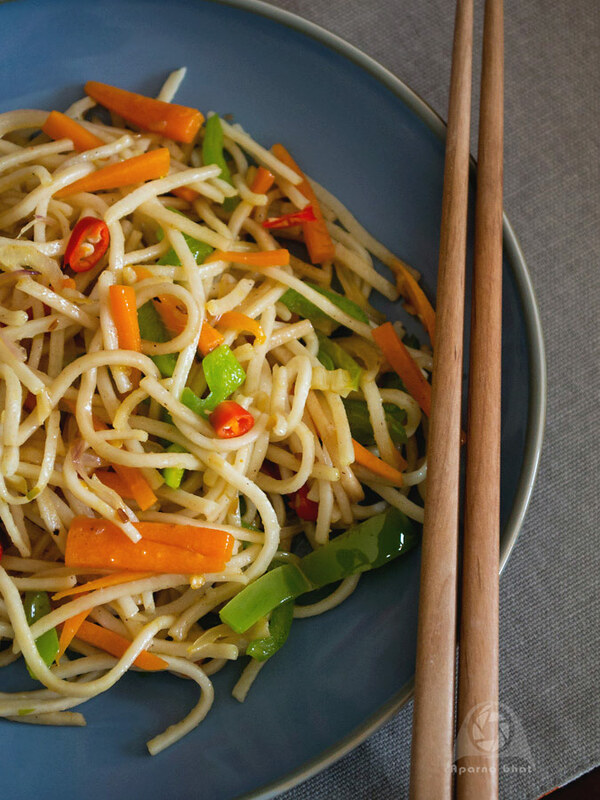 Switch off the flame and garnish with thinly sliced fresh chillies [or you may garnish it with spring onion greens]. Transfer the noodles to serving plate/bowl and serve it hot. Aparna, this looks delicious! I love that you used eggless noodles.